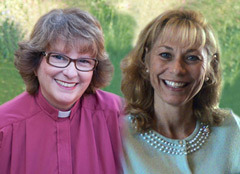 Welcome in to Free Online Radio Programs from Rev Dr Nancy Ash. "Radio to inspire living in Oneness"
Blossom like a beautiful rose with each show, "Consider This..." with Linda Marie & Nancy; The Art of (TAO) Living Well Radio Network, at blogtalkradio.com 2010-15. 2012 Guest, Andrew Harvey, Father of Sacred Activism "The Hope"
Learn some "360" easy meditation techniques from veteran spiritual coach and instructor of 35 -plus years, Rev Dr Nancy Ash. We promote ONEness by discussing unity in diversity, honoring ALL perspectives in ALL spiritual traditions. Join with us to open your heart and Soul like a closed rosebud blossoming into unsurpassed beauty. The shows are archived 24/7 ... so listen anytime!